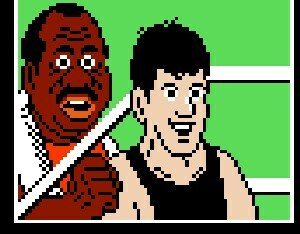 Jerome “Doc” Louis, Mac’s trainer, should round out the NES Punchout mustache crew, as we posted Von Kaiser back in 2008. Doc always had an inspirational word for Mac, and was one hell of bicyclist. This entry was posted in Animated Steesh, Mike Tyson's Punch-Out!! Steesh, Sports Steesh and tagged bicyclist, david baker, inspirational word, mustache, nes punchout, video game on February 21, 2012 by Los Bulls.